Use our Harp String Finder to find the exact string for your harp, or to order by octave and material. 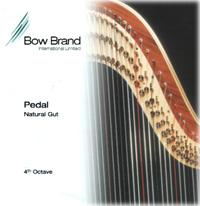 Bow Brand has been providing natural gut strings to the music industry for over 100 years, and are the original factory string used both on Lyon & Healy and Salvi harps. We also stock Pirastro Nylon, widely acknowledged by most harp technicians as the best quality nylon harp string available. Pirastro Nylon stretches less than other nylon strings, providing harpists with better pitch stability. Time to spare? Browse our Entire String Collection page-by-page! Use our Harp String Finder to order the exact string or strings for your Dusty Strings harp. Dusty Strings provides monofilament, nylon-wound, bronze-wound and steel-wound strings for their Celtic harps. Pick your harp model, count your strings - voila! - see your custom order form ready for submission. We stock monofilament, nylon-wound, bronze-wound and steel-wound strings by Dusty Strings for same-day shipment by the economical US Postal Service for direct delivery to your home or studio. 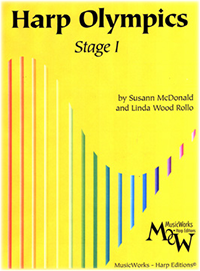 Browse our Harp Sheet Music Collection, complete with image previews and custom descriptions. We have literally a thousand titles in our sheet music store. Browse By Title, Browse By Composer-Arranger, or use our Advanced Harp Sheet Music Search to search by interest and performance level. We stock popular titles from publishers such as Hal Leonard, Carl Fischer and Lyon & Healy, plus specialty publishers such as R King Music and Musicworks. Same-day shipment by the economical US Postal Service brings your music direct to your home or studio. Where else can you find a Bubble Gum Colored Tuning Key? Well, we know we are exaggerating a little! 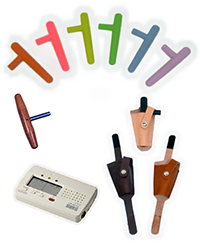 But you will find replacement Harp Tuning Keys, Tuning Key Holders and other Harp Tuning Accessories in our online store. Our Very Own Classic Harp Cart is custom-made in the USA and provides a reliable and easy-to-use solution for your harp transportation needs. This classic 2-wheel cart is custom-made in the US from cabinet-grade hardwood. Two 10" diameter wheels feature ball bearings for an easy roll. Two Velcro straps hold your harp securely when it's windy or for going up stairs. The carpeted tray is welded steel with a powder-coat finish and measures 16.5" x 5". 1 year warranty. 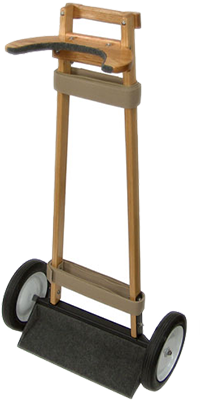 This classic 2-wheel cart is custom-made in the US from cabinet-grade hardwood. Transport Covers protect your harp from the elements and the hazards of moving. 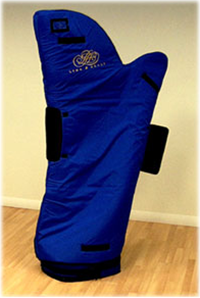 The Three Piece Transport Cover Sets include an outside cover for your whole harp, plus a Column Cover and Base Cover. Items from the sets are also available individually. 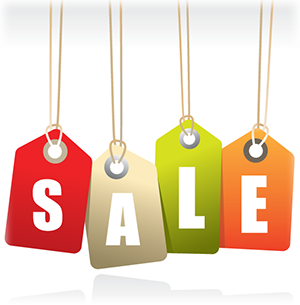 Every month we will have a special selection of harp music and other accessories on sale. Check it out!